HP LaserJet M551DN Driver Download. This printer need to prove they can do more. Proposing to solve the problems of marketers, printers need more than just 1200 x 1200 dpi image resolution. Facing the world of marketing, HP LaserJet Enterprise 500 M551DN Laser leaves some doubts because of its image resolution, but gives good results when printing on a large scale. Check out our review. HP today announced that printer as an ideal device for marketing companies, saying it is great to print materials directed toward this area. With an image resolution of 1200 x 1200 dpi, it is hard to imagine large advertisements being printed for her. That's because with this resolution, you hardly get images with great definition. Nevertheless, it is good for colored graphics or simpler image printing. Even focusing on the image of prints, the printer goes well in the document print speed. In black and white, it can print 32 pages per minute - has the same number in colorful. The monthly print cycle is 75,000 pages. It is not multifunctional, so do not copy and scan. With dimensions of 823.9 x 740 x 402 mm (W x D x H) and weighing 34.6 kg, this printer has a plastic finish and has an ergonomic design, with rounded edges. With the front in white, HP left the entire back in black. The control panel is positioned on the front left and has a start button, pause, two directional, an OK, back and home. The LCD screen of four lines you can monitor the process and set the number of pages you want to print. The menus are simple, due to the lack of functions, and you will have no problems with it. Printer installation is done automatically via USB. As a precaution, HP sends the CD with the product. Supported operating systems are: Windows 8, Windows 7, Windows Vista, Windows XP SP2 +, Windows Server 2003 SP1 +, Windows Server 2008 (all 32 bit and 64 bit), Windows Server 2008 R2 64 bit, Mac OS X v10. 5, v10.6, Citrix and Windows Terminal Services, Novell, Linux and UNIX. 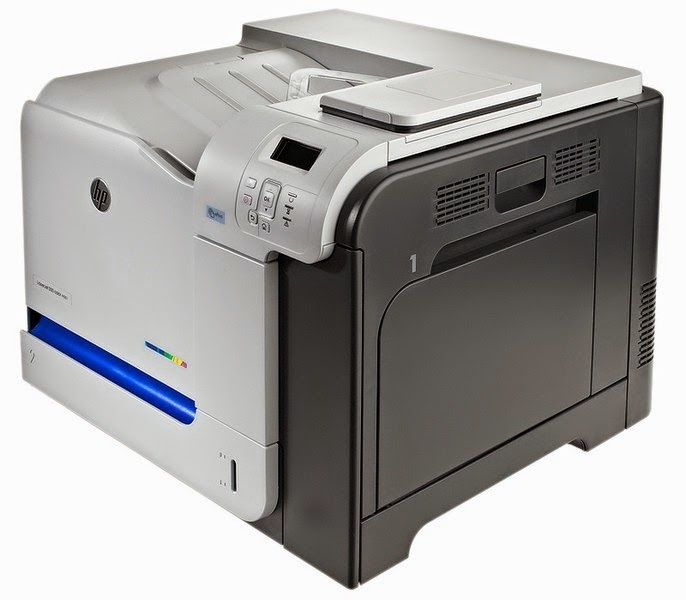 The connectors found in this printer are: 2 USB 2.0 host ports, high speed, 1 port for high-speed USB 2.0, 1 Ethernet network port Gigabit 10/100 / 1000T and 1 hardware integration pocket 2 internal USB host ports. With these connections, you can connect more than one computer at a time. Even the printer not being the most powerful of the market, HP did not skimp when it comes to structuring the trays. This device has two input 500-sheet trays, one 100-sheet multipurpose and an output of 250 sheets. You can be sure you will not come even close to overcrowding. The supported types of papers are A4, A5, B5 (JIS), B6 (JIS), A6 and envelopes. This printer is supplied with four HP toner cartridges, previously installed. The yield of the color black is approximately 5,500 pages, while the colored are 6000 pages. This printer is not dual voltage, operating only in voltage 110 V. The manufacturer does not even power consumption nor the noise level of this printer. Connections, accessories and options. By purchasing this product, you will receive four toner cartridges HP LaserJet preinstalled (approx income. 5,500 pages in black and approx. 6,000 color pages), toner collection unit, box documentation (initial steps guide), software drivers and documentation on CD-ROM, power cord and embedded print server HP Jetdirect Gigabit Ethernet. The warranty is 12 months. Really were not very convinced of the real capacity of the printer to print more demanding marketing pieces. No doubt she does a good job with simpler images and also with documents, but think twice if you think to buy it to print in an excellent resolution.